Join MOCA Director Klaus Biesenbach and Hans Ulrich Obrist for the Brutally Early Club, followed by conversations with artists Lauren Halsey, Korakrit Arunanondchai, and Luchita Hurtado. 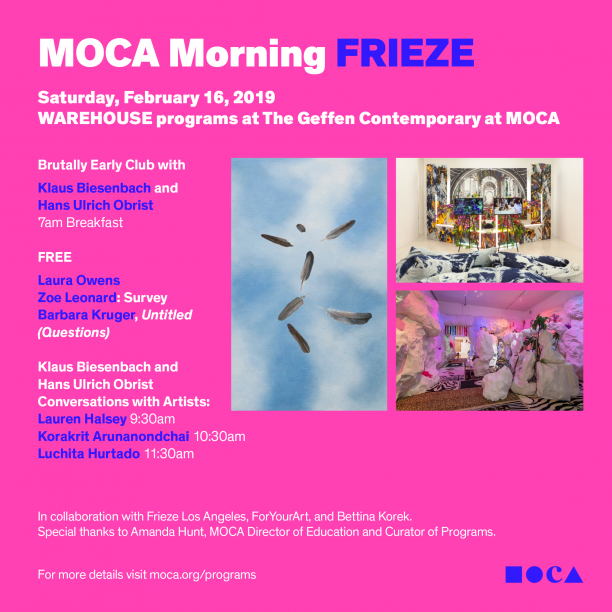 In collaboration with Frieze Los Angeles, ForYourArt, and Bettina Korek. Special thanks to Amanda Hunt, MOCA Director of Education and Curator of Programs.